Light, dark faux wood and brushed silver finished table lamp. Rectangle hardback shade - (15"x9") x (15"x9") x 10". 3-way switch. Type A light bulb 150 watts max or CFL 26 watts max. The Lamps - Contemporary Set of 2 Syler Poly Table Lamps by Signature Design by Ashley at Michael's Furniture Warehouse in the San Fernando & Los Angeles area. Product availability may vary. Contact us for the most current availability on this product. The Lamps - Contemporary collection is a great option if you are looking for Contemporary Lighting in the San Fernando & Los Angeles area. 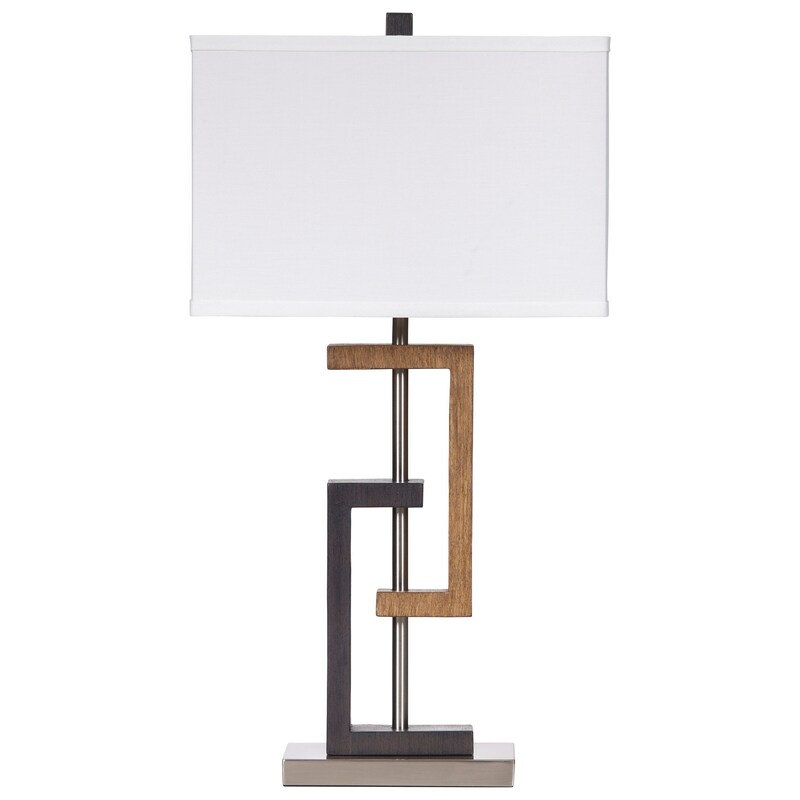 Browse other items in the Lamps - Contemporary collection from Michael's Furniture Warehouse in the San Fernando & Los Angeles area.